A city-based lawyer filed a case under Negotiable Instruments Act against his former client after a cheque of Rs 1.85 lakh, which was given to him as fees, got bounced. 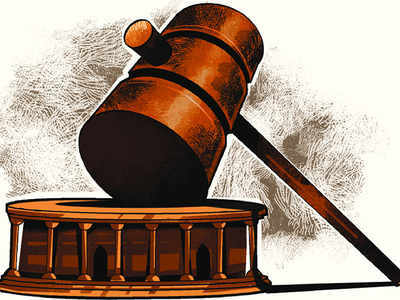 VADODARA: A city-based lawyer filed a case under Negotiable Instruments Act against his former client after a cheque of Rs 1.85 lakh, which was given to him as fees, got bounced. Lawyer Amrish Sevak told the court in his application that Bhumika Patel, a resident of Vasna Road, had hired him as her lawyer for two cases. Sevak was hired for a cheating case against Patel’s brother-in-law and her divorce case. Patel had promised Sevak a fee of Rs 1.85 lakh for which she gave him a cheque with a date of July 2016. Sevak’s application mentioned that when he deposited the cheque, it returned as Patel’s account did not have sufficient fund. Sevak has alleged that when he asked for money from Patel, she did not pay him during all these months and did not give him any satisfactory reply. Sevak told the court that he had also served a notice to Patel in October last year yet she did not pay the money to him and cheated him. Sevak has also alleged that Patel works as an interior designer and also has an independent business with her friend and therefore she is economically strong. Sevak requested the court to punish Patel according to the law and help him to get compensation.